Win BIG with Servcorp's new arrival in the Docklands! Free Champagne & Membership awaits! Servcorp Premium Serviced & Virtual Offices have landed in Docklands! The world’s leading Serviced and Virtual Office provider has now called Southbank’s exclusive Riverside Quay home as, its fourth Melbourne location. Servcorp presents the impressive Riverside Quay as the ideal business address for businesses needing a base in the heart of Melbourne’s prestigious Southbank precinct. To help get you in the celebratory mood, Servcorp is giving away a bottle of Moët & Chandon (yum!) PLUS a 2 month Platinum Virtual Office Membership. That's all worth nearly $700. “We’re proud to announce the opening of our new premium Southbank Business address. Riverside Quay is an attractive alternative to the busy Melbourne CBD and is a great location which will give our clients the opportunity to easily operate in Melbourne without the hassle and costs.” Taine Moufarrige, General Manager of Australia and New Zealand has said. Competition closes 5pm, Wednesday 13 April 2011, and winner will be selected at random on Thursday 14 April 2011. Winner will be notified via email and prize will be available for collection at 710 Collins St, Docklands. 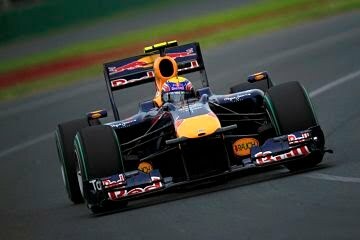 Mark Webber to thrill fans at Docklands this weekend in the 'Red Bull Run'! Australian Formula One champion Mark Webber is set to thrill Australian fans with a taste of his high-octane expertise by crossing Melbourne’s iconic Bolte Bridge in a Red Bull Racing F1 car. The spectacular ‘Red Bull Run’ will take place at 9.45am on Saturday 19 March as a prelude to the 2011 Formula 1™ Qantas Australian Grand Prix and opening round of the 2011 FIA Formula One World Championship season. Thousands of spectators are expected to gather at Docklands’ Waterfront City to view the live action via super-screen and hear the roar of the Red Bull F1 car overhead. Following his bridge cross, Mark will drive the car down to the Waterfront City Piazza to greet lucky fans and Australian F1 commentator Greg Rust. Fans are encouraged to arrive at Waterfront City Piazza from 9am to secure a vantage point. Festivities will kick off at 9.30am. After the festivities, explore the great food and restaurants around the Docklands, perhaps sit down to some great Aussie beef at Steakhouse or dine on some fresh seafood at nearby Livebait. Visit harbourtownmelbourne.com.au for more information about the event.